Everyone knows that TV talent show auditions are mostly for having a laugh at the people whose confidence far outweighs their abilities, or else getting teary over someone's sad life story. So viewers watching the start of the tenth season of Britain's "The X Factor" might have had the impression that the willowy young woman waiting outside the audition hall was just one more hard luck story pregnant at 17 and again at 19, she was a young mother who had to abandon her dreams of being a singer. Later, when it was her turn to perform, she took the stage looking like she was a bundle of nerves, though she did manage a shy smile when asked her to introduce herself. 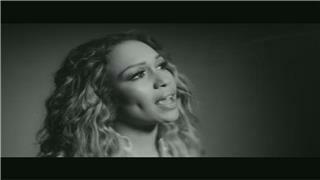 And then Rebecca Ferguson sang Sam Cooke's "A Change is Gonna Come." Her eyes glued to the floor, her shoulders hunched defensively, she sang with a voice so unexpected a mix of Aretha Franklin, Norah Jones and Sade, with a refined hint of Macy Graythat "X Factor" judge Simon Cowell told her point blank, "I think potentially you have an incredible voice." He and the other judges warned that her lack of self-confidence could hurt her. "The problem is, it's like you're singing to yourself," observed Nicole Scherzinger. "You need to start looking people back in the eye again, don't you?" asked Cowell. Still, she got four "yes" votes and moved to the next round. Her drama slowly unfolded over the next 10 Saturday nights would Rebecca, so often tearful in the beginning, be able to stand the pressure? Would her talent be enough to carry her to the end? And, well, could she possibly be any lovelier, more charming, down to earth and humble? The audiences rejoiced and the judges praised her elegance and poise "You are pure class," said onenot to mention her "subtle, understated and gorgeous" vocals. After a series of stunning performances, the "X Factor" audience was completely enthralled with the once frightened, now luminous young woman from Liverpool. When it came down to the wire, though, Rebecca was the show's runner-up. "I'd be lying if I said that, when I was standing on that stage in the final, I didn't want to win," she admitted in an interview with the Telegraph. "Everybody wants that petal drop. But, in the long run, I knew it would be better for me. It gave me time to get things right." She used the year after "The X-Factor" envisioning, writing and performing her album, "Heaven." As her first single, "Nothing's Real But Love," is released in the U.K., the reviews have been glowing. 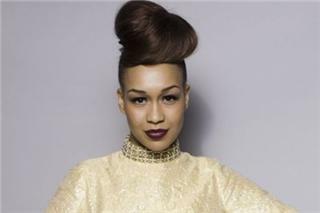 "Her gorgeous debut single puts Rebecca Ferguson in the same league as Aretha Franklin," wrote the pop music critic for the Telegraph, who went on to call "Heaven" "a gritty collection of soulful, self-penned songs about real emotional issues." Though Rebecca says her direct musical influences are soul based, she admires a wide variety of performers including Ray Charles, Tupac, Sam Cooke, Stevie Wonder, Florence and The Machine, Beyonc, Nicki Minaj and, of course, Adele. "She's been such a support and said such lovely things about me," she says of her fellow chanteuse. "She even admitted she voted for me over 80 times when I was on the show. She means every word she sings, which I love." For her first album, "I spilled my soul out. A lot of it comes from writing about relationships I've been in, so I think everyone can probably relate to the lyrics we've all been there." A self-confessed perfectionist, Rebecca, who has always written her own material, wrote a song every day for months. "People just made an assumption, 'She came off The X Factor, she won't be able to write. We'll just write her songs.' Then as time passed they realized, 'Oh, she can actually do this!'" Joining her in the studio were some industry heavy-weights who were eager to collaborate: Eg White (Adele, James Morrison, Duffy) Fraser T Smith (N-Dubz, Tinchy Stryder, Cee Lo Green) and Claude Kelly in New York (Britney, Whitney Houston, Jessie J). She admits that creating it wasn't always easy. "Some days in the studio I'd been crying and say 'OK, I've had a really bad week, I'm not going to lie but we're going to write about it, and hopefully something good can come out of that. Someone can listen to it, and think, 'She's been there too. She knows how I feel.'" Creating this album has also rewarded Rebecca with a new level of assertiveness and self-belief, "I refused to re-vocal some of the songs on the album. I meant every word of those songs when I sang them, and I'm not going to do them again, and not mean it. I don't care if that makes me sound like a diva." The key line in the chorus of "Nothing's Real But Love""No money, no house, no car, can beat love" has great significance, says Rebecca. "People used to say to me 'Being rich doesn't make you happy.' And I'd think, I've got no electricity, nothingtell that to my empty fridge. But now I'm doing okay, I realize, they were right. It doesn't matter what you've got, as long as you've got love. I know that sounds cheesy, but that's everything." Rebecca grew up in a chaotic single-parent household, with three brothers and two sisters; she used music as her escape. "I didn't have a very easy childhood to be honest and to get away from that I dreamt my life away; dreamt of singing." Even as she was learning to talk, Rebecca could see her future: "I used to write songs [at] age three," she laughs, "There's pads and pads of lyrics I wrote as a teenager at my mum's house." She admits she didn't enjoy school, mostly because she was always wondering why she was there when she knew her destiny was in music. She had more than a few roadblocks. "My mum was really strict and I was only allowed to listen to Christian music," Rebecca remembers. "But I remember one of her friends who knew I loved singing giving me two tapesCher and Whitney Houston. I'd sit there for hours and hours listening to those two albums on repeat." There wasn't enough money for Rebecca to follow her passion for singing, so at 14 she got a job in a clothes shop to pay for singing lessons. Performing Arts college followed, but then at 17, everything changed when she got pregnant with her first child, Lillie May, followed by Karl two years later. "People would say to me, 'Well your life's ruined now!' For a while I started to believe it, but you don't have to get rid of your dreams just because you have kids. They've just pushed me to succeed, to want to do better for them. And for me." She studied to be a legal secretary as something to fall back on, but decided to make another stab at being a performer by signing up for that fateful "X Factor" audition. Because of social media, Rebecca's "X Factor" performances have been viewed by millions of people around the world; her audition video has had more than 3 million views on YouTube. Being on the show "completely changed me as a person. I'm strong now. Singing used to just be a dream, now it's my focus. I had begun to give up hope and then the show happened and now, with this first album, I just wanted to get to a point where my voice and my songs are as good as they can possibly be."